The lodge at Little Bohemia still has windows with bullet holes in them from the gunbattle that unfolded 80 years ago. Site of John Dillinger and the Dillinger Gang's epic shootout with the F.B.I., the Lodge is also the modern day filming location for the Universal Studios film starring Johnny Depp as John Dillinger, PUBLIC ENEMIES. Known for great food and drink since the 1920's! 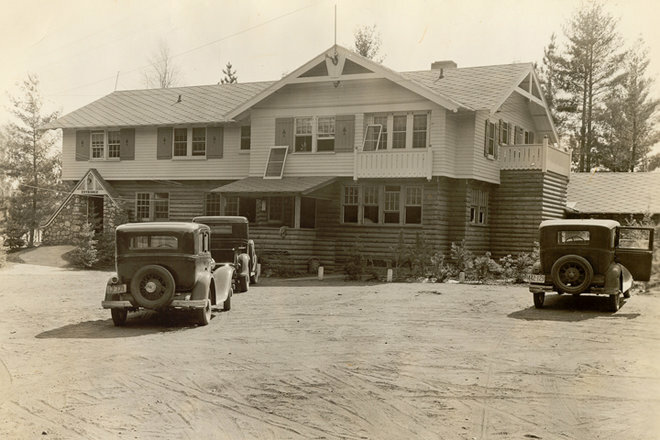 Step back in history at the Lodge, and remember...DILLINGER ONLY LEFT BECAUSE HE HAD TO!!! Copyright © 2013 Little Bohemia Lodge. All Rights Reserved. No use without permission. Photos used with permission of FBI and rightsholders.